This easy and delicious dip makes a great alternative to hummus, and is equally as versatile. Spread it on your favourite crackers, toast, or use it as dip for veggies and chips. Drain butter beans reserving the can liquid. Rinse & drain them well. Transfer to a dipping bowl, drizzle with a few extra drops of olive oil and garnish with chopped parsley. This recipe came about after a necessary pantry clean-out to get rid of out whatever was approaching its expiry date. I had a few cloves of roasted garlic from a previous dish and decided to whip up something. The end result was a creamy, garlicky dip with a welcoming hint of lemony zing. Roasted garlic is one of my favourite ingredients. Roasting mellows the sharp bite of raw garlic, intensifies the natural sweetness and nuttiness. I usually roast a few heads of garlic whenever I am baking so I can conserve on energy. 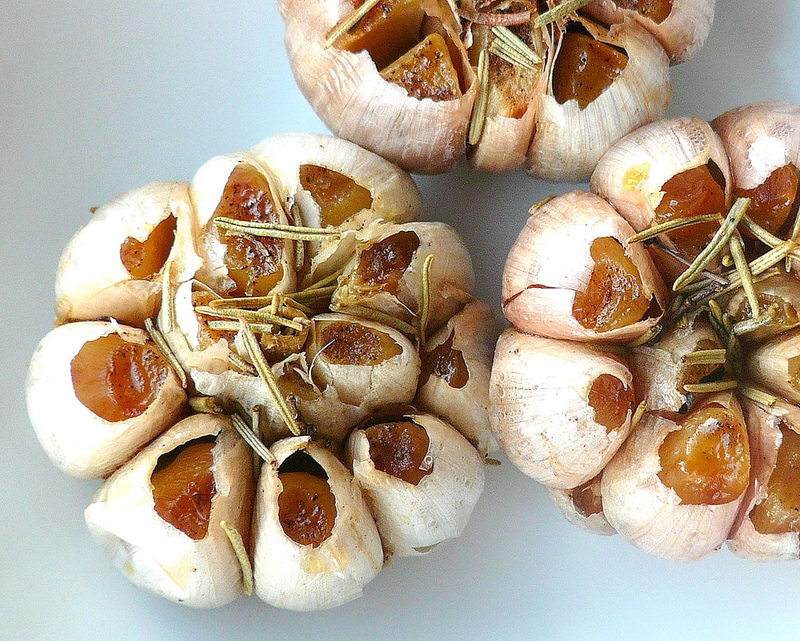 To roast, slice a thin layer off the top of each head of garlic just enough to expose the cloves. Place the heads on a piece of foil and drizzle with olive oil. I usually sprinkle a bit of salt to help tenderize during the roasting process. Seal the foil and roast until cloves are lightly brown and tender, about 40 minutes. This entry was posted in Food, healthy, homemade, Ingredients, Nutrition, Recipes, Tips, Uncategorized, Vegetarian and tagged appetizer, butter beans, dip, garlic, healthy, homemade, vegan, vegetarian. Bookmark the permalink.